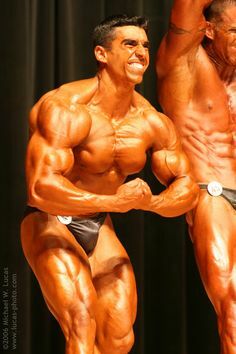 Ben Pakulski and Hugo Rivera talk about natural bodybuilding supplements. Bonus: Natural Bodybuilding FAQ With Ben: Can I Get Muscle and Lose Fat at the Same Time? Bodybuilding Question: Ben, is it possible to gain muscle and lose fat at the same time? If so, how can I do it? Answer from Ben: I’m not going to sit here and assume you all don’t already know how important nutrition is to optimizing growth. I KNOW you do. 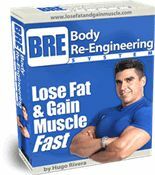 People come to me all the time and ask “What is the BEST approach to take if I want to gain muscle and lose fat?” Is that even possible? Well, the truth of the matter is that, yes, it is absolutely possible. Is it easy? Of course not. Let me do my best to explain. Your first consideration when it comes to nutrition is RECOVERY. You need to always ensure that your body has what it needs to recover when it needs it. It is very important to nourish your muscles around the workout. Your muscles need protein, in the form of amino acids, present in the bloodstream ALL the time or the body will start to leach those aminos from other parts of your body (Read: break down your muscles). This is BAD NEWS for those of us trying to build muscle. REMEMBER: Weight training is a catabolic process — it breaks down muscle! It’s when we leave the gym and feed the body that the growth and re-growth processes occur. This is your first consideration when it comes to building muscle. The other main considerations of an intelligent nutrition plan are timing of nutrients, and ratio of nutrients (percentage of fats/carbs/proteins). How do I know WHEN to EAT WHAT? I think by this point in my life I have probably read EVERY nutrition book ever written (or at least started to read them all. Some are terrible so I toss them out halfway through). I have probably tried every single logical approach to nutrition at some point in my life. I was once a vegetarian; I have tried really high carb, low protein; I have tried high protein, low carb; zero carb; zero fat; gluten free; Ketogenic diet; Metabolic diet; Hollywood diet; Fasting diet….you get the idea! The only one I think I haven’t tried yet is raw food diet because I just don’t think I could support my bodyweight with the limited food sources. I could tell you pros and cons of each one for someone trying to build muscle and optimize their body composition (a.k.a.,Lose Fat). My approach to nutrition is very much a hybrid of them all. 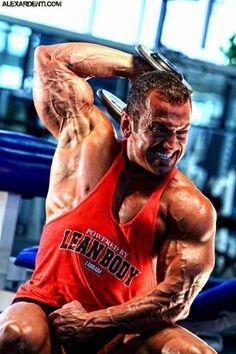 I believe I have taken the best points from each one and manipulated them to create a formula for people trying to build lean muscle without the excess fat. Phase 1 of “3-P” is the “recovery” phase. This phase is centered around taking the time to ensure that your body is getting everything it needs to recover from the overload of weight training and daily stress that you subject it to. The idea here is to take time to establish the EXACT minimum requirements to meet your bodies needs on a day- to- day basis. As the recovery process begins DURING the workout, so does the P-1 phase. The calculations are quite simple and applicable to everyone. We now use this number [(G) OR (FL)] as our baseline number. Multiple your baseline number x 2 for your post- workout protein requirement. Divide your baseline number by 2 to get your BCAA and Glutamine amount in grams. Split BCAA And Glutamine into 2 equal servings, pre- and post- workout. 153 x 0.3= 51 grams of carbs to be consumed *around workout. Take the time to calculate YOUR ‘P1’ values NOW! Do not waste another minute in the gym if you’re not supporting the recovery process. The second phase of 3-PN is all about establishing your metabolism where YOU want it to be! Yes, this is absolutely possible. Someone wanting to lose body fat should look at getting their metabolism going as fast as possible before they start the fat burning process. For some people, this may take up to 3 weeks; others may achieve it in a week. The standard amount of time for this “metabolic recondition-ing” is 10 days in MI40. The timing of your food is extremely important. The ratio of protein/carbs/fats is also obviously extremely important. This phase is also very important for teaching your body how to use nutrients the way you want it to. It’s no secret that 80% of North Americans do not use carbohydrates well. It will be during P-2 that we diligently time your nutrients and use the proper supplementation to allow your cells to re-learn how to properly use carbohydrates. More effective use of carbohydrates = more muscle growth and less fat! Phase 3 of “3-P” is is the phase that is most important to directing and guiding your body exactly where YOU want it to go. This is the phase where we add or remove calories/nutrients to achieve the specific goal we have set out to achieve. Most of the participants of MI40 are going to be following what is called a “P-3+” phase. This is specifically designed to ensure that your body is getting all the nutrients it needs AT THE RIGHT TIMES! Nutrient timing is THE ONLY WAY to manipulate gains: WHEN your body gets WHAT is the number one most important growth variable outside the gym. MI40 is going to be pushing your limits of physical performance and growth. Your body is going to require a greater amount of nutrients than it is used to. This is necessary to support all the growth processes. NO. If you push your physical limits in the gym, your body is going to have a huge increase in demand for nutrients and will burn right through them. To ensure there is NO FAT STORAGE, MI40 will also prescribe a certain degree of NUTRIENT CYCLING. We give your body all that it needs to grow. Filly those muscles right up so they are strong and ready to grow and recover. Just when they are just about filled to the max, we manipulate the nutrient ratios and prevent spillage. ALWAYS maintain your P-1+ status. This means you keep your recovery protocol exactly as prescribed above(+). This is essential to maintain recovery and prevent muscle wasting. 1) A complimentary copy of my own program “Body Re-Engineering” (valued at $39.99). Combining Body Re-Engineering with MI-40 will give you the most incredible gains in muscle mass and you will have half a year worth of muscle building and fat blasting workouts! 2) Two videos that show you how you can combine the power of Body Re-Engineering and the power of MI-40 in order to get the most explosive gains imaginable! This set of video is valued at over $200 but it is my gift from me to you as my way to say thank you for your support! Remember that between Body Re-Engineering and MI-40 you have almost half a year worth of unique muscle producing and fat blasting workouts! Again, please make sure that when you pick up MI-40 you forward your receipt to hugo@hugorivera.net with the title “SPECIAL BRE OFFER” and I’ll get you access to BRE and the videos ASAP (within 24 hours)! I want to make sure that you are taken care off. I Am Ready To Get Big and Use The Power of MI-40 and BRE to Get HUGE! 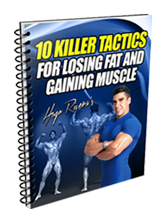 By the way, order TODAY and you also get a FREE REPORT detailing the routine that Ben used to put on 2 inches on his arm prior to the Arnold Classic! This is an absolutely INCREDIBLE arm routine that just gave me an extra half inch on my arms when I implemented it! 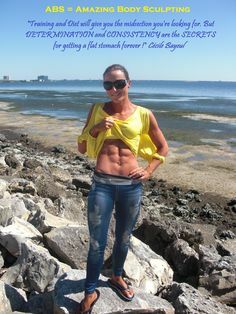 Start Re-Engineering Your Body Today!